Ice Cream. Mac and cheese. For the more gluttonous among us, pizza. Many of us turn to these comfort foods when life takes one of its downward spirals. 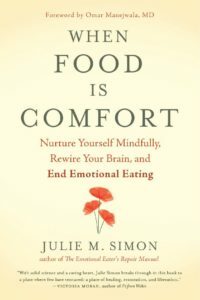 When Food is Comfort: Nurture Yourself Mindfully, Rewire Your Brain, and End Emotional Eating reveals a lack of consistent nurturing at a young age can cause us to turn to outside substances such as food to receive that needed stress relief. 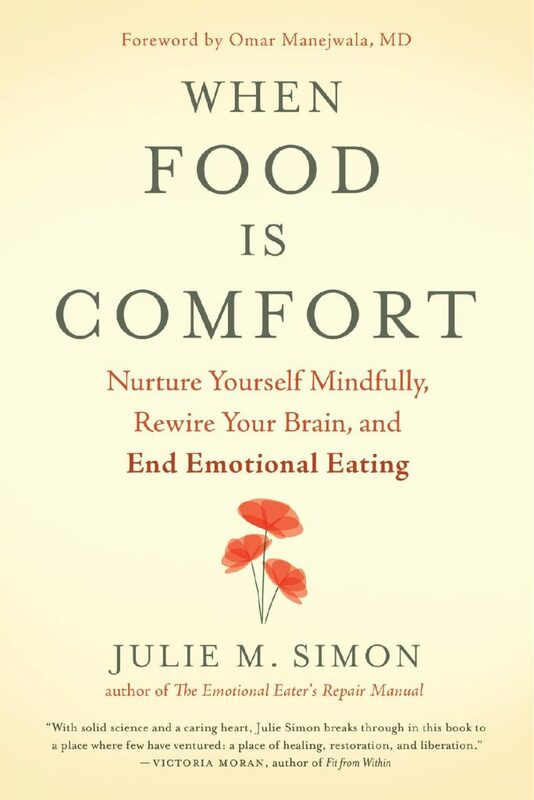 Author Julie M. Simon offers easily mastered skills to put an end to unhealthy indulging through self-nurturing and rewiring our brains. Julie is a licensed psychotherapist and Life Coach with a full-time private practice specializing in eating and body image challenges. She founded the popular Los Angeles based online Twelve-Week Emotional Eating Recovery Program and offers workshops at venues like Whole Foods and UCLA. Later, by their nature, separation and divorce are unpleasant and stressful experiences, but they don’t have to be one-sided, angry affairs. Life Coach and ‘recovering’ attorney Sunny Joy McMillan explores how to navigate the ending of a bad marriage peaceably and with clarity, utilizing the methods she learned during her own experience. 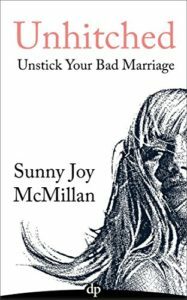 Her new book is Unhitched: Unlock Your Courage and Clarity and Unstick Your Bad Marriage. Sunny is an attorney and Master Life Coach and host of weekly radio show Sunny in Seattle. She is passionate about empowering adults to make soul-based relationship and work choices, as well as using divorce as a catalyst for personal transformation, spiritual awakening and creating a kickass new life.